The moment we heard Pluralsight’s mission statement we wanted to know more. Not only do they live their mission from the very top down, they are absolutely obsessed with learning. So of course we just had to partner with this incredible company. In our initial conversations, we were asked some of the most interesting and thought out questions from any client. It was clear that an investment in learning and creating new and better ways of doing things is part of their culture every day culture. 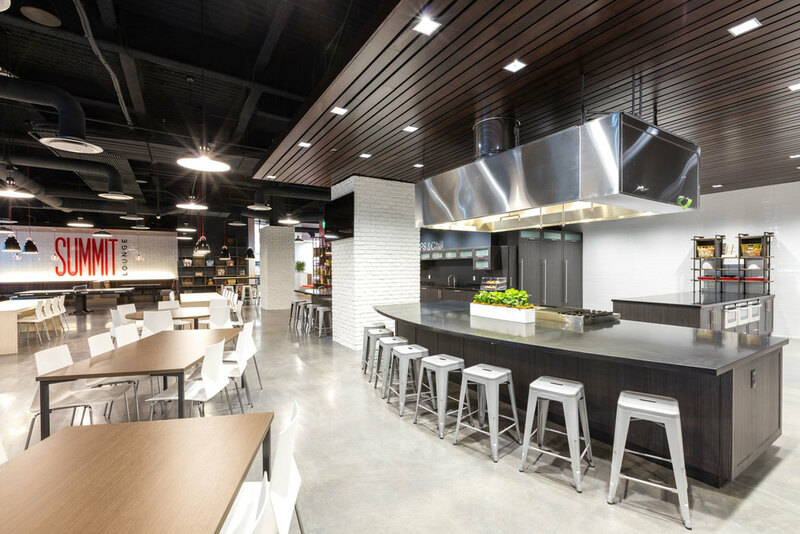 Pluralsight was looking for a long-term design partner who could immerse themselves into their brand and culture and help them steer their ever-shifting, ever-growing design and space needs. Together we have been able to partner and really take on their mantra of Smarter Than Yesterday. 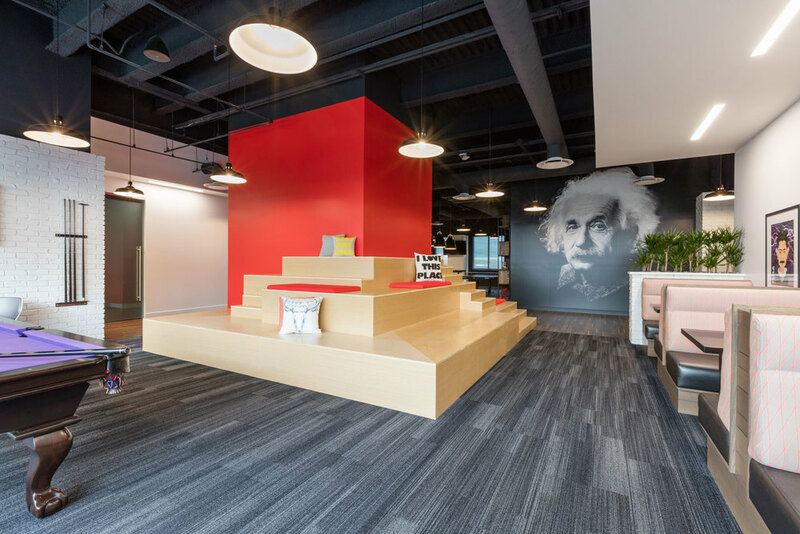 With each project we continue to evolve their physical space brand as well as the processes for managing the needs of a company with growth that is always looking to the future. This company is fiercely dedicated to its people and committed to maintaining the culture the company was founded on. An integral component of designing space with Pluralsight is keeping their people at the center of all decisions. Design space for connection and playfulness is as important as space for highly function work environments. Pluralsight has many unique groups and teams, each with very specific needs. From a world class product development team, to marketing and sales, they needed a lot of spaces for co-creation. Integrating many types of these spaces is key in an office like this. From small one-on-one rooms to lounge type meeting spaces, everyone feels like they have somewhere they are comfortable creating. As part of their top down culture, they have no private offices so adding sufficient enclave and private spaces was essential. In addition, they have locations both nationally and globally, creating spaces where connection to satellite offices is integrated and seamless is non-negotiable in all of their spaces. We are the conduit for translating your unique company vision, brand and culture into your interior space.